We are focusing on in-school Student Days of Poetry and poets in residence for the 2018-2019 school year. Field Trip SDOPs are on hiatus this year, but they will be back. Please contact sara@masspoetry.org about hosting an In-School Student Day of Poetry or a Poet in Residence! Student Day of Poetry is our youth program for middle and high school students, complete with Student Day of Poetry Festivals to spark and strengthen interest and engagement with poetry, and Poet-in-Residence programs providing sustained poetic mentorship. SDOP Festivals change the way middle- and high-school students see poetry, as well as how they feel about themselves and each other. Through writing-generative workshops with top poets educators, poetry readings, performances, and student open mics, SDOP Festivals provide inspiration and instruction at all levels and in all genres of poetry, from sonnets to spoken word and everything in between. 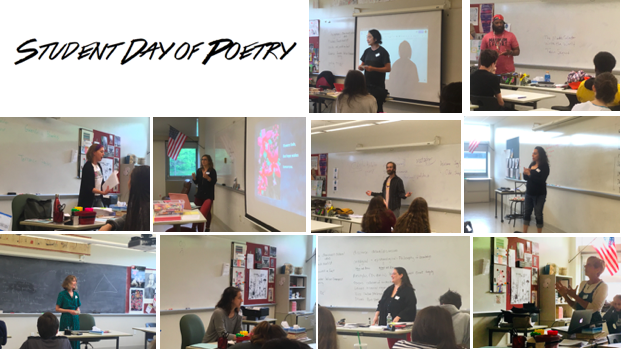 Over the past three years alone, Mass Poetry has produced nine field trip SDOP Festivals attended by a total of 97 schools, and held 27 in-school Festivals. Student surveys show that after one SDOP Festival, 70% of students have a sparked or strengthened interest in reading poetry, and 69% of students have a sparked or strengthened interest in writing poetry. 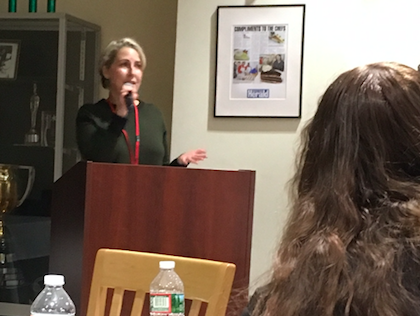 If you are interested in attending a field trip, having an SDOP Festival at your school, or hosting a Poet-in-Residence, please contact sara@masspoetry.org. Click here to see a sample of some of the poets we work with and the workshops that they lead! Mass Poetry-certified Poets in Residence, or those with comparable education and work experience, can work in Massachusetts public schools for a semester or full year placement. Residencies include workshops, performances and open mics, one-on-one mentorship, and office hours. Residencies are customizable based on your school’s schedule, size, curriculum and student body. Email sara@masspoetry.org for more information or to partner for grant applications for a poet in residence. This program is supported by a grant from BPS Arts Expansion Initiative. This program is supported by a grant from the Massachusetts Cultural Council. In-School Student Days of Poetry come in many shapes and sizes, and are customized to fit each school's needs and budget. 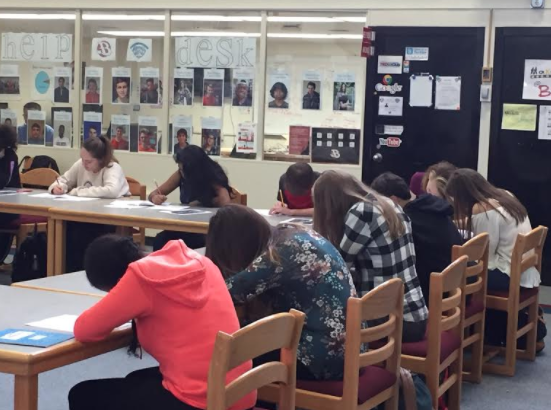 If you're interested in bringing poetry into your school, email sara@masspoetry.org. UMASS Boston hosted the 2017 Statewide Student Day of Poetry that reached over 1100 middle and high school students from 23 schools across the state. Workshop were led by heather hughes, Regie Gibson, Jeffrey Harrison, Jamele Adams, Anthony Febo, Alex Charalambides, Matt Parker, Eileen Cleary, Teisha Twomey, Zachary Bos, J.D. Scrimgeour, Tim Gager, Kevin Carey, Kailey Tedesco, Sam Cha, Danielle Jones-Pruett, Ben Berman, Steph DeOrio, Annie Won, Hannah Baker-Siroty, Charlotte Seley, Fred Marchant, Melissa Castillo-Garsow, Alyssa Mazzarella, Amy Mevorach, Joey Gould, Amanda Gorman, Hannah Larrabee, Margaret Young, Lindsey O'Neill, Kelly DuMar, Aly Pierce and Casey Roland. UMASS Amherst hosted the 2017 Western MA Student Day of Poetry that reached over 650 middle and high school students from 12 schools in western Massachusetts. Workshop were led by Martín Espada, Emily Pettit, Kelin Loe, David Feinstein, Dan Chelotti, Corwin Ericson, John Hennessy, Lori Desrosiers, Rushelle Frazier, Jeannine Atkins, Susie Patlove, Janet MacFadyen, Amy Gordon, Maria Williams, Chris Ayala and Andy Nicole Bowers. This SDOP was our third annual festival/SDOP hybrid with group readings, performances, student open mics, and writing-generative workshops, allowing students and poets to connect through poetry on a deeper level. 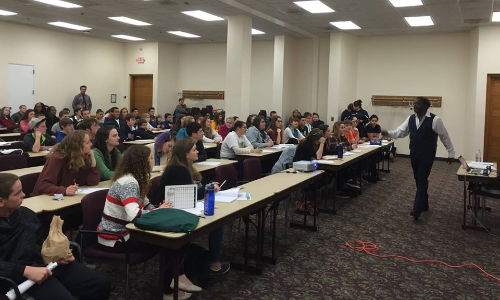 This SDOP hosted nearly 200 students who worked closely with a handful of great poets. UMASS Boston hosted the 2016 Statewide Student Day of Poetry that reached over 1,000 middle and high school students from more than 30 schools throughout the state. Workshop Leaders included Aly Pierce, Danielle Jones-Pruett, Hannah Larrabee, Heather Hughes, Jade Sylvan, Jamele Adams (Harlym1two5), Jennifer Jean, Jennifer Martelli, Jennifer Militello, Jonathan Mendoza, Kate Glavin, Kelly DuMar, Lewis Reginald Morris, Margaret Young, Matt Miller, Matt Parker, MRB Chelko, Neiel Israel, Princess Moon Chan, Robert Auld, Sam Cha, Sarah McCann, Shari Caplan, Steph DeOrio, Stephen Haven, Taylor Mali, Tim Gager, Tony Toledo and Zachary Bos. Greenfield Community college hosted a small-scale Student Day of Poetry that reached over 150 students from 5 different schools. 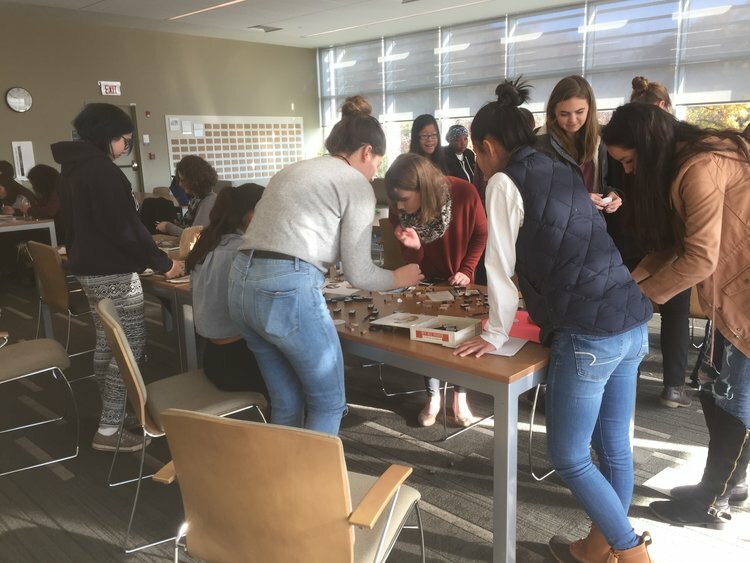 Workshop Leaders included Amy Gordon, DM Gordon, Doug Anderson, Janet MacFadyen, Jeannine Atkins, Jim Bell, Leo Hwang, Maria Williams, Susie Patlove, Trish Crapo and Hope Schneider. This SDOP was our second annual festival/SDOP hybrid with group readings and performances and writing-generative workshops, allowing students and poets to connect through poetry on a deeper level. This SDOP hosted nearly 200 students who worked closely with a handful of great poets. 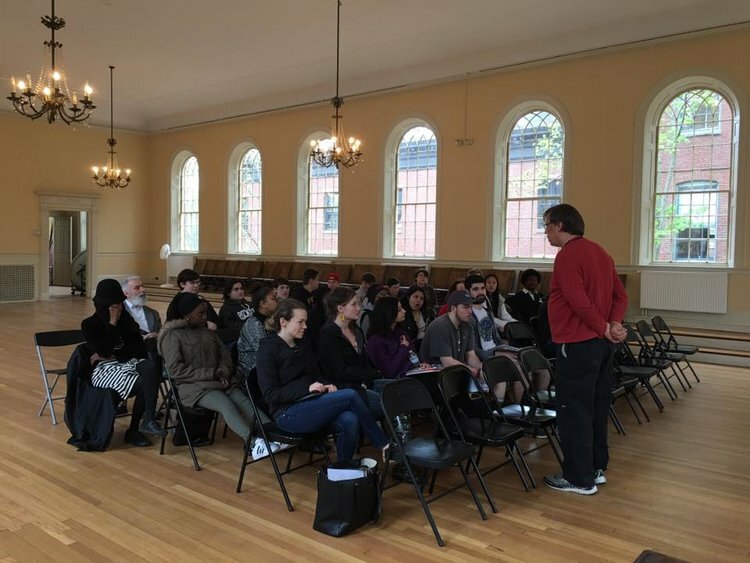 This SDOP Track was a first for Mass Poetry--a festival/SDOP hybrid with group readings and performances, solo readings with Q&As, and writing-generative workshops, allowing students and poets to connect through poetry on a deeper level. This SDOP hosted 350 students who worked closely with a handful of great poets. Featuring: Harlym 1two5, Noah Burton, Krysten Hill, Jill McDonough, José Olivarez, Lloyd Schwartz, Karen Sharpe, Tara Skurtu, Rachel Wiley, and more. Check out the full length video of the 2014 Student Day of Poetry, which we think perfectly captures the excitement and energy of the day. To sponsor a workshop leader at our Statewide Student Day of Poetry, we ask supporters for a donation of $100 per leader. Sponsors are welcome to bundle these together and support more than one leader at this level. To sponsor one of our headliners, gift levels range from $400 - $1000. Donors will receive recognition in the Student Day of Poetry program book and on our website. Mass Poetry would be incredibly grateful if a donor were willing to sponsor one of our In-school Student Days of Poetry at a school that cannot meet the financial demands of hosting poets. To sponsor an In-school Student Day of Poetry in a low-income school, we ask for a donation of $1,000. 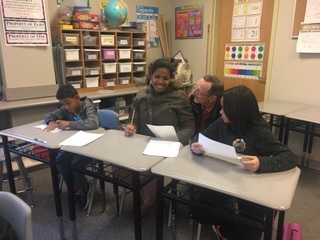 To sponsor a partial In-school Student Day of Poetry, we ask for a donation of $500; this may be combined with other donations to sponsor a full day. The donor will receive a portfolio of images and poems produced during the day, as well as correspondence from the students who benefited from the program.